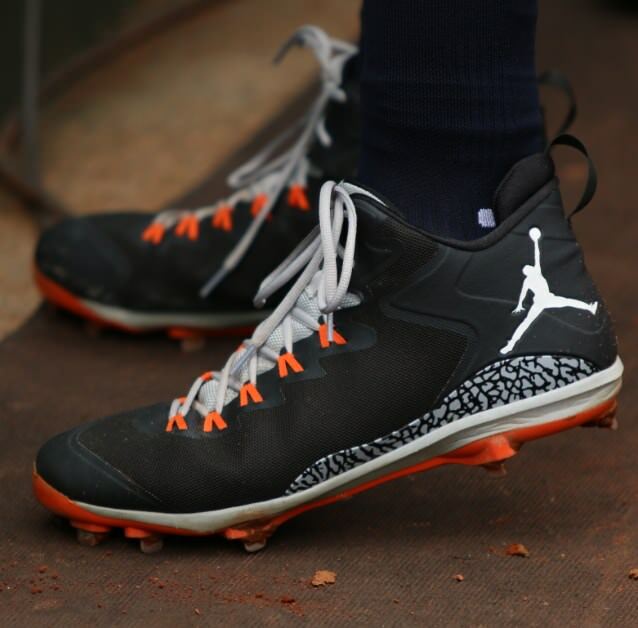 As intensely interested as I am in footwear, I have always had an eye on the cleats worn by MLB players. 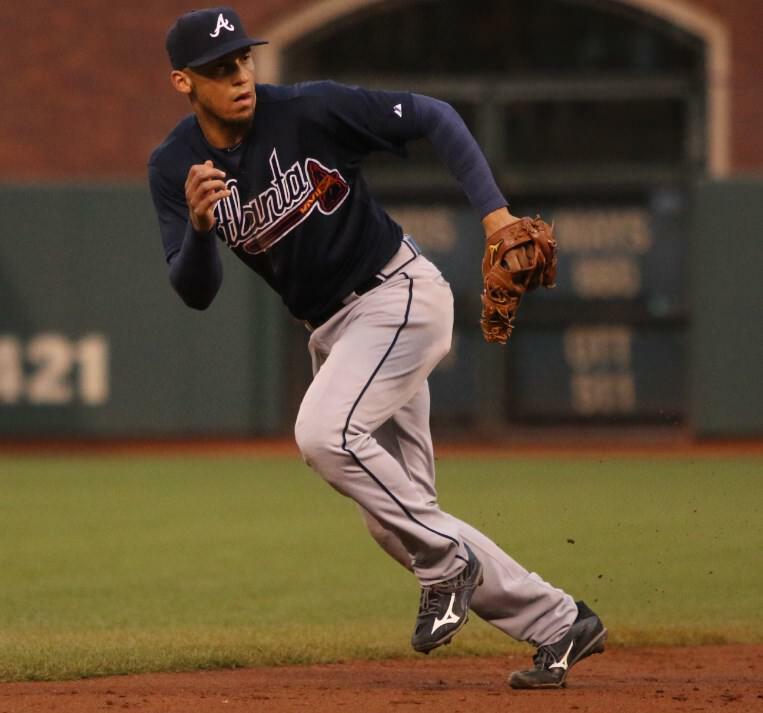 I’ve asked myself, is every brand equally represented in baseball? Do the top-, mid-, and lower-tier players wear equal amounts of each brand? How do those brands fluctuate over time? With Under Armour being the official footwear supplier, is there a disproportionate amount of the league wearing the team-issue cleats? 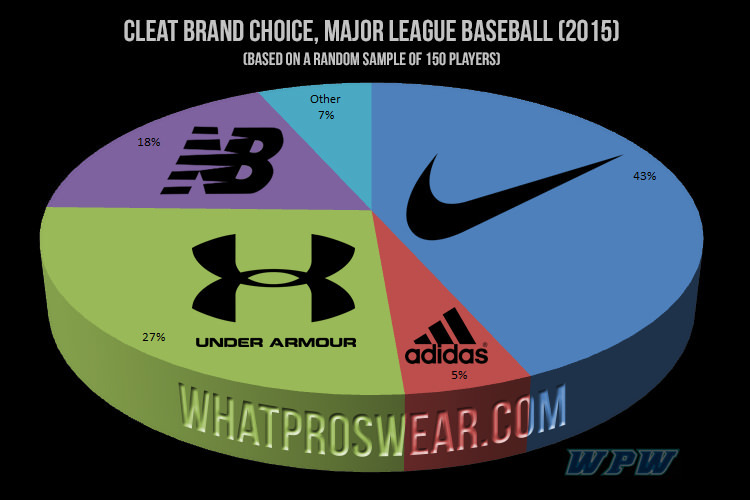 Now that I’m part of the WPW team, I felt it would be worthwhile to delve into cleat brand usage in the MLB and see if we could pick out any trends or surprises across the league. With over 40% of the sample population, Nike clearly wins the race for being the biggest in the game. Whether it is style, comfort, or just name recognition, Nike continues to dominate across sports. Much like Louisville Slugger for decades and decades, it was hard to envision an end to the company’s reign. It will be very interesting to see if Nike can hold off the competitive younger and smaller brands and keep the #1 spot. 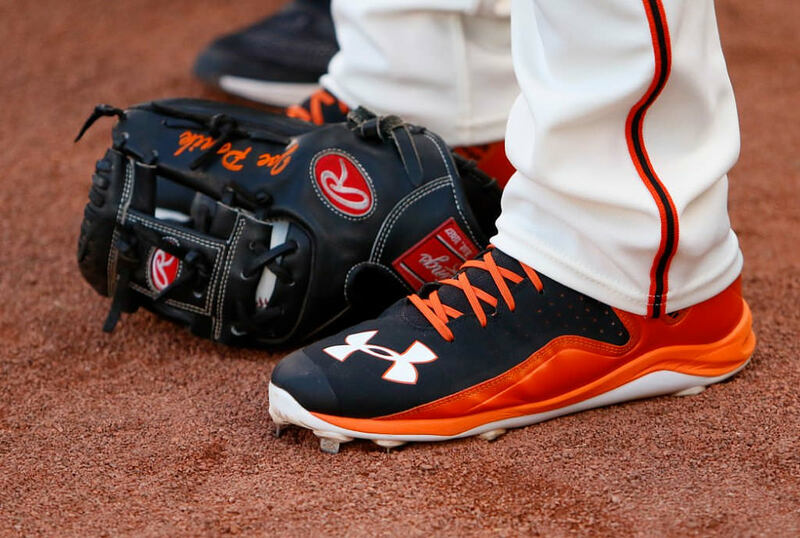 With about 27% of the League staying true to the Official Footwear Provider, the Maryland-based brand takes home spot number 2. Under Armour is creeping up in a lot of categories, taking the number 2 athletic apparel spot in the US from adidas just this year. Stuck behind Nike on the ballfield, the brand will have to make some big moves in the coming years to pose a serious threat to the guys and gals out in Beaverton. It should be noted that some portion of the sample population likely wears the brand simply because it’s free. At 18% of the sample wearing NB, New Balance sticks closest to the expected amount of players wearing their products. Coming on hot in the past few years, New Balance has branched away from its running roots and into baseball. 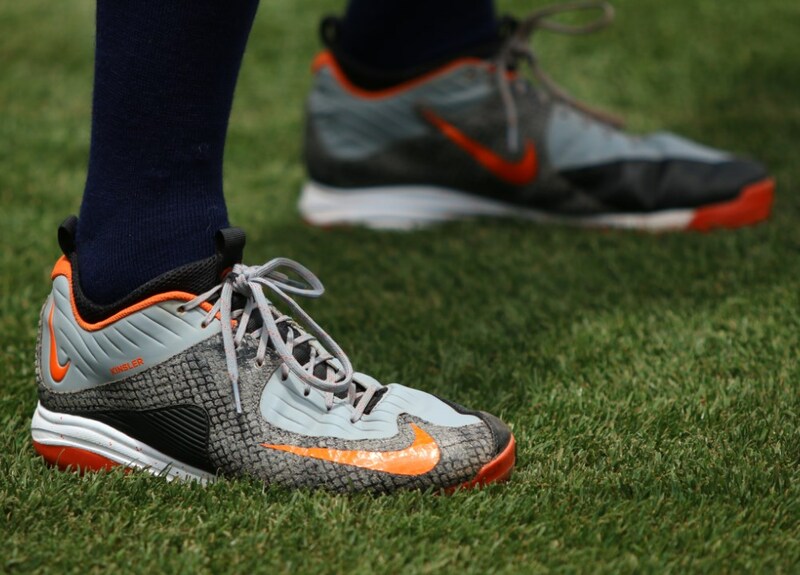 The company’s running shoes and cleats share many materials and technologies and, as a result, share their comfort and consistency. Footwear from NB is durable and not particularly flashy (aside from the Bold and Gold Pack), great for the grinders who put their heads down and go out and play hard everyday. 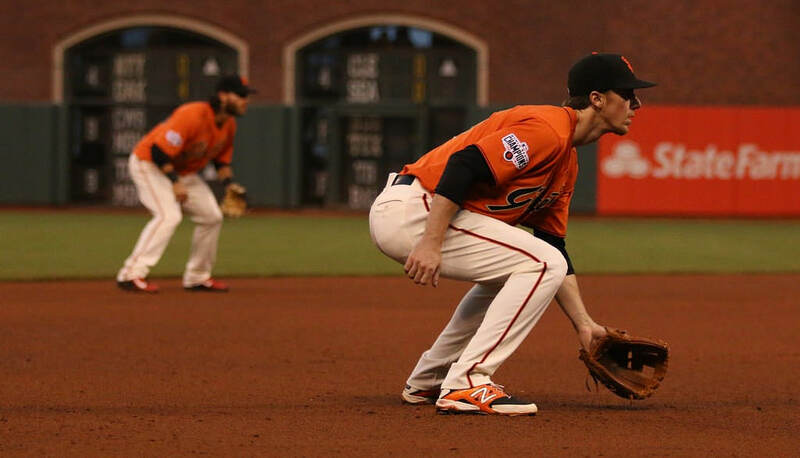 Scratching in at just over 5%, Adidas is one of the fastest growing companies in the baseball world. 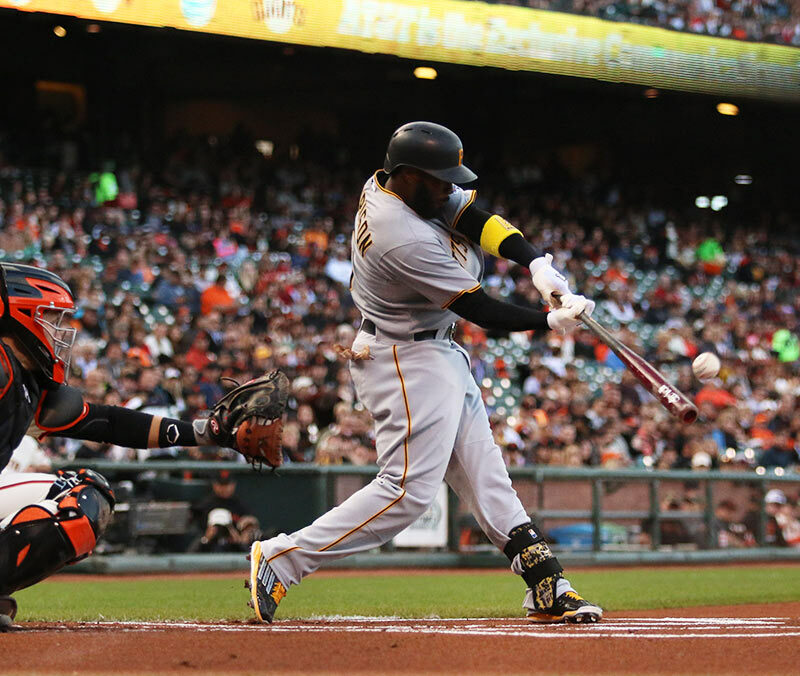 After re-dedicating themselves to the diamond this past season, Adidas rounded up as many young players as it could in hopes that kids growing up seeing guys like Kris Bryant and Josh Harrison would be drawn to the Three Stripes. Look to see Adidas expand its stables even more in the coming years. Reaching just under 7% as a group, this collection of companies have little in common other than their scarcity on the field. Mizuno is fading, Jordan is as selective as ever, and other brands have never been able to garner much of a following. Adidas would’ve been part of this collective in recent years, but in 2015 they’ve established themselves as a legitimate contender in the the baseball footwear world. Looking at the distribution of brands across various qualities of players (based on fWAR), revealed a more in-depth understanding of the footwear heirarchy. Under Armour’s strongest presence lies with the top tier of players in 2015 (fWAR = 1.0 to 5.9). 52% of their total roster is in that category. 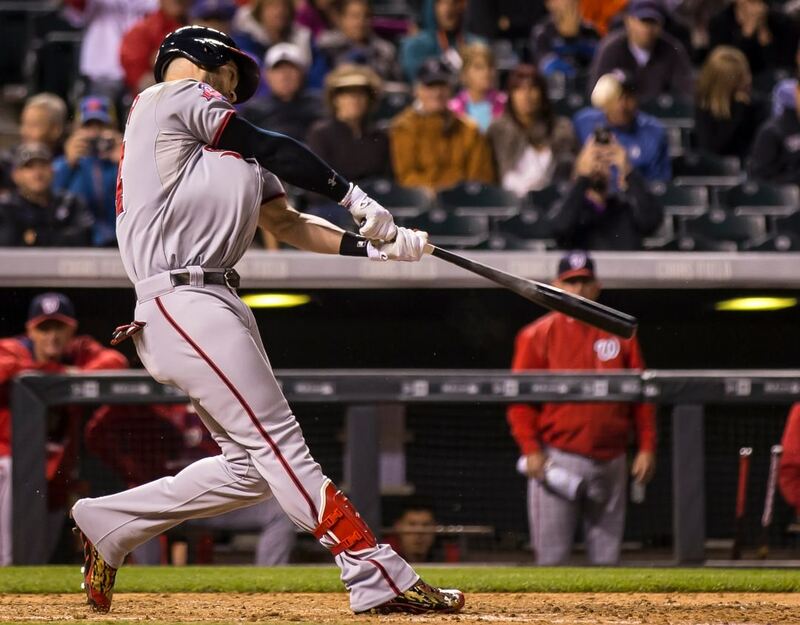 With such a strong crop of top players, the brand should be able to expand its roster greatly in the next few years as kids who grew up idolizing guys like Harper and Kershaw start to go pro, potentially challenging Nike. Nike is even stronger than UA among the top two tiers of players (fWAR = 0.4 to 5.9), taking 54.5% of the market share among those two groups, but seems less inclined to have lower tier guys wearing their gear, with only 17% of their roster is in the lowest tier (fWAR = -1.3 to -0.1). Under Armour also seems to neglect the lower tier players, with 9.1% of the lowest tier. New Balance finds its strongest representation in the mid-range and lower-tier players, with 35% of these tiers wearing New Balance. A possible explanation is that, without any dazzling sponsorship offers, they prefer the durability and comfort of the NB cleats. 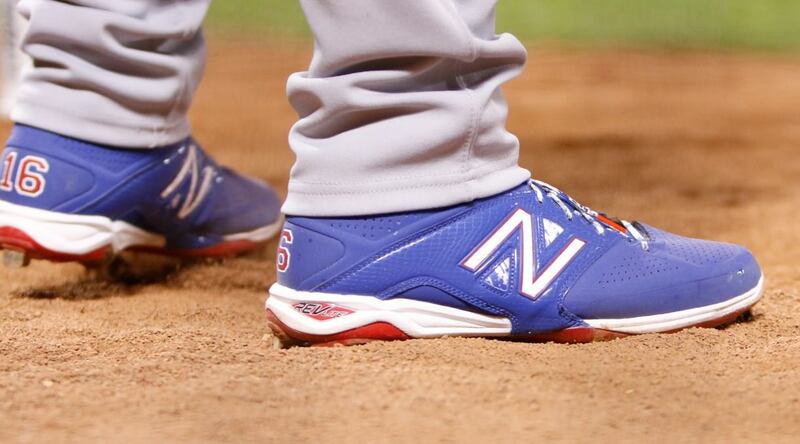 This could be an indicator that NB’s are simply the best performing cleats in the game today. The collective “other” brands, aside from Jordan (which selectively outfits Manny Machado, Gio Gonzalez, Carl Crawford, Jimmy Rollins, and David Price) settle in among the mid-range players, with 67% of their total roster in the middle tiers. They are starkly underrepresented among the top tier and will struggle to find real estate in the consumer’s mind due to this. If interested, you can find our research and calculations in greater depth HERE. Are you going to do the poll of top brands of bats and gloves like you did the past year?